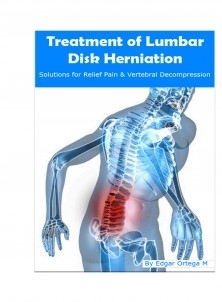 This manual is intended for all persons who have any type of disc herniation. Pain relief is one of the most important for those who suffer from a spinal injury issues. Improve the quality of life undoubtedly implies total pain relief, all patients with herniated discs have a right to live without pain and enjoy a full life in which human rights are respected, as it is kind of damage is considered in all areas as a physical disability. The manual contains an invaluable collection of spinal decompression techniques (the largest treatment for herniated discs).